In a rush and need flowers delivered today? Perhaps you have a Celebration this evening or you've forgotten its your Anniversary (uh oh!). If that's the case you'll be relieved to know that we have in stock a special range of same day flowers that we are able to deliver to you this very evening. Any flower from our same day delivery range, if ordered before 3pm, will be sent to you via our special delivery courier to be with you later on today. We can deliver to anywhere in the UK, and the flowers will be carefully hand packed and boxed to ensure that when they arrive with you they will be in excellent condition. This service is available on a dozen different types of flowers that we stock, with a great selection to choose from including Roses, Lilies and Carnations. You can choose from fresh flowers or eye catching flower baskets and all our flowers are freshly prepared by our trained team of flower experts to ensure you receive a beautiful arrangement. 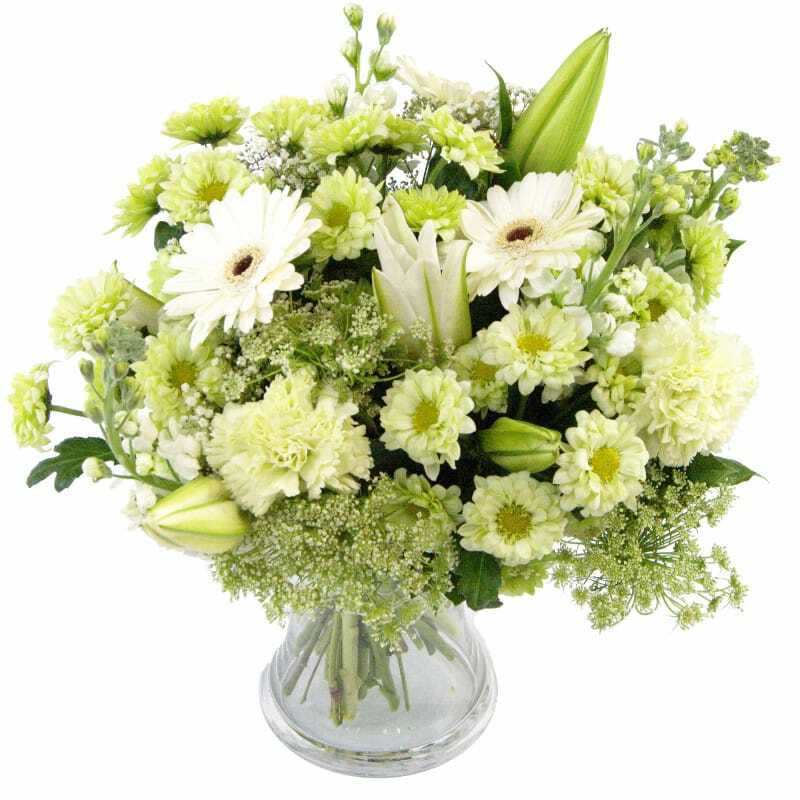 One of our popular Same Day Flowers is the Fresh White Bouquet - an eye catching collection of white and lime green flowers, arranged together to give a calming, peaceful vibe for your home. This bouquet has a gorgeous, natural appeal and will be a stunning focal point to compliment the design of your room. For a small additional cost of £5 we can increase the amount of flowers included by 50%, allowing you to create a magnificent floral display with a saving of over £10. 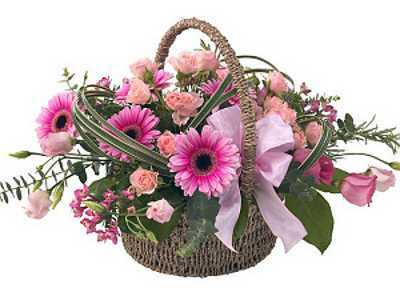 We also have a range of Flower Baskets available for same day delivery, including our vibrant Tickled Pink which contains a selection of flowers including Germini, Spray Roses, China Grass and foliage. This flower basket is perfect for giving as a gift to celebrate a new baby girl, and also works well on its own as a beautiful display for hanging around your conservatory or your patio. We have a wide variety of same day flowers available to view online, which we can get dispatched to you same day by 3pm.